Visuell antropologi, etnografisk film, forvaltning av fornybare naturressurser, fiskeriforvaltning. 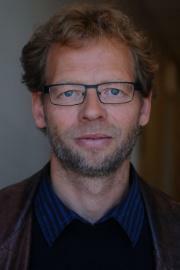 Arntsen, Bjørn. The Fish that Disappeared. Journal of Anthropological Films 2018; Volum 1 (1). ISSN 2535-437X.s doi: 10.15845/jaf.v1i1.1319. Arntsen, Bjørn. Observational cinema and situational analysis: New vistas for the development of anthropological understanding. Norsk Antropologisk Tidsskrift 2018; Volum 29 (3-4). ISSN 0802-7285.s 221 - 237.s doi: 10.18261/issn.1504-2898-2018-03-04-08. Arntsen, Bjørn. Aggravated uncertainty. The influence of a modern management regime on the livelihoods of a fishery population near Lake Chad. Lexington Books 2018 ISBN 978-1-4985-8407-4.s 77 - 90. Arntsen, Bjørn. Observasjonell film og situasjonsanalyse. Nye muligheter for utvikling av antropologisk forståelse.. Norsk Antropologisk Tidsskrift 2018; Volum 29 (03-04). ISSN 0802-7285.s 221 - 237. Arntsen, Bjørn; Holtedahl, Lisbet. ВИЗУАЛИЗИРУЯ СИТУАТИВНОСТЬ. РОЛЬ ЗРИТЕЛЯ / ЧИТАТЕЛЯ В ПРОИЗВОДСТВЕ ЗНАНИЯ (org. title: Visualising situatedness. The role of the audience / reader in knowledge production.) Translated from English by E.M. Karageorgii. Siberian Historical Research 2017 (3). ISSN 2312-461X.s 29 - 48.s doi: 10.17223/2312461X/17/3. Arntsen, Bjørn; Holtedahl, Lisbet. Visualizing Situatedness. The Role of the Audience/Reader in Knowledge Production. 2005.s 67 - 83. Arntsen, Bjørn. Film som forskningsdata og antropologisk analyse. Eksempler fra et video-basert forskningsprosjekt på fiskeriene i Tsjadsjøen.. Visual Anthropology, Ethnographic Film and Anthropological Knowledge 2017-05-31 - 2017-06-01 2017. Arntsen, Bjørn. What can we learn from a bottom-up approach. Living in a fishing community by Lake Chad.. VISCAM workshop 2017 2017-12-04 - 2017. Arntsen, Bjørn. Between Boko Haram and administrative authorities – locals under pressure by Lake Chad. Insecurities in the Lake Chad basin 2017-06-14 - 2017-06-16 2017. Arntsen, Bjørn. Rewinding Madame Lisbet's film production - 'Få er som far - ingen som ho mor'.. Rewinding Madame Lisbet 2017-05-31 - 2017-06-01 2017. Arntsen, Bjørn. Film: The Fish that disappeared, 38 min. (2015). Images of Cultural Diversity and Heritage - anthropological and documentary film festival NAFA 2015, conference and workshops 2015-09-20 - 2015-09-25 2015. Arntsen, Bjørn. Anmeldelse av Gunnar Iversen og Jan Ketil Simonsen - Beyond the Visual. Sound and Image in Ethnographic and Documentary Film. Norsk Antropologisk Tidsskrift 2012; Volum 23 (3-4). ISSN 0802-7285.s 323 - 325. Arntsen, Bjørn. Lake Chad revisited: Time, space and abstractions in a rediscovery of natural resource management, and how to make a film of it all. Sense and the Lens' Ethnographic filmmaking, visual documents and transcultural knowledge. 2012-08-23 - 2012-08-26 2012. Arntsen, Bjørn. 2012 Deltagende observasjon gjennom og utenfor kameralinsa. Et møte med fiskere i Tsjadsjøen i film og tekst. Paper ved årskonferansen til Norsk antropologisk forening, Stockholm, 3.-5.05.12. Årskonferansen til Norsk antropologisk forening 2012-03-03 - 2012-05-05 2012. Arntsen, Bjørn. Cinema and Development. Visual Writings Confronting Stereotypes: Afro-Norwegian Development Encounters. Contribution with Drissa Diakité, Mali, at the conference Mirroring Visual Writings in the Social Sciences, Paris 22-24.11.11. Mirroring Visual Writings in the Social Sciences 2011-11-22 - 2011-11-24 2011. Arntsen, Bjørn. From fieldwork experience to ethnographic film and text. Moscow international festival and conference of Visual Anthropology 2010-09-20 - 2010-09-24 2010. Arntsen, Bjørn. Audiovisual explorations into the fisheries of Lake Chad. Breaking the Barriers. Nordic Anthropological Film Association 2008-05-30 - 2008-06-01 2008. Arntsen, Bjørn. Lokale rettighetsoppfatninger og praksiser knyttet til bruken av fiskeressursene i noen utvalgte fjordområder i Nord-Troms. 2007 ISBN 978-82-583-0940-3. Arntsen, Bjørn; Holtedahl, Lisbet. Fleksibilitet, flertydighet og forhandling. Kamerunske kotokoer og maliske immigranter i et fiskerisamfunn ved Tchadsjøen. 2006. Arntsen, Bjørn. Jakten på kveita. 2004. Arntsen, Bjørn. The Fish come with the Rain. 2002.